This massive Wildebeest crossing of the Mara River was photographed with the hand held Canon EF 70-200mm f/2.8L IS II lens (at 120mm) and the Canon EOS 5D Mark III . ISO 200. Evaluative metering +1 1/3 stops: 1/15 sec. at f/13 in Manual mode. Central sensor/AI Servo Surround/Rear Focus AF on the nearest row of Wildebeests and re-compose. Click here if you missed the Rear Focus Tutorial. Click on the image to see the spectacular larger version. The best way to sum up the summer safari was to say that half way through all the participants were calling it “The Miracle Safari.” We were truly blessed. From early morning lions at Tarangire to the amazing Wildebeest crossing to our first encounter with mother Leopard to the great Cheetah chase to several lions on Wildebeests kills to the huge tusker at Ngorongoro Crater to our two Seronera Servals to our repeat encounter with mother Leopard the safari was one miracle after another. This image was created on August 8th, 2013 with the Todd Pod-mounted Canon EF 600mm f/4L IS II USM lens and the Canon EOS-1D X. ISO 800. Evaluative metering +1 stop as framed: 1/160 sec. at f/4 in Manual mode. Central sensor (Surround)/AI Servo Rear Focus on the Leopard’s face and re-compose. Click here if you missed the Rear Focus Tutorial. Click on the image to see a larger version. On the morning of August 8 we left the lodge at 6am our gear loaded in five open roofed vans set up with three roof hatches. We were in search of the Leopard family. Veteran Sal driver spotted one of the 7-month old cubs high in a tree. It was un-photographable. Next veteran driver Jamesie spotted the other cub in a tree. Some folks photographed this animal though the situation was less than ideal. Then moments later veteran driver Nico spotted the mother high in a tree with a Thompson’s Gazelle. We got in position and made a few bad images, tight shots with a big branch right across the animal’s chest. After 15 minutes the big lady cat lifted her prey, climbed halfway down the tree, and posed on the perfect branch. It was something that you could never have even dreamed of…. All of the vans were skillfully positioned. We spent the next three hours and a good part of the afternoon game drive photographing the family. Though I have zillions of keeper images that show all each of the Leopards chowing down on their meal, the image above was, with momma’s regal pose, my very favorite. The group was fabulous. Denny and Connie Behn of Colorado, Elena Miroglio from Italy and boyfriend Paul Groebler from Zambia, John and Jane Cornish (replete with their endless supply of Vivil Latte Macchiato sugar-free candies) from Australia, were all new folks for me, and all were as sweet and easy-going as could be. Repeat clients included dear friends Patrick and Robin Sparkman of San Diego, the always interesting and delightful Val Sneeberg also from CA, long ago Bosque IPT veteran Dan Streiffert, the wacky and lovable professional flutist Louise Burkey–thank God she decided at the last minute to to leave her old 600 f/4 at home and bring the 300 f/2.8, and the irrepressible Ralph Bendjebar, retired NWA pilot, rounded out a great crew of happy campers. Everyone was smiling, happy, cooperative, helpful, and understanding. And most everyone was open and very eager to learn. Hi Ralph :). I found myself wishing that the photography and the weather had not been so perfect so that we could have had more time for image sharing and Photoshop sessions. Not! Simply put, everyone needed their beauty rest, especially me. This image of a resting young male African Lion that had recently enjoyed breakfast was created with the hand held Canon EF 200-400mm f/4L IS USM lens with Internal 1.4x Extender (at 311mm) and the and the Canon EOS-1D X. ISO 800. Evaluative metering +1 stop: 1/320 sec. at f/9. Two sensors above and one to the right of the central sensor/AI Servo-Surround/Rear Focus AF as framed active at the moment of exposure. Click here if you missed the Rear Focus Tutorial. Click on the image to see a larger version. I love the peacefulness of this image and I love the versatility of the 200-400. As always with safaris arranged by Todd, we had a great team of driver guides: James, Nico, Sal, Peter, and Othmani. Four veterans and a new kid who was bright and eager to learn. Heck, he learned in a single day! Drive for safari photographers is not their usual gig. When I first went to Africa with Todd well more than a decade ago and asked a driver to please move the van back 1/2 meter they often looked at me as if I were crazy. Now they simply smile and say, “Yes please.” They are so skilled at positioning the van for photography that the van leaders usually did not have much to do. That said a skillful van leader, the person who is positioned in the roof hatch opening, is a vital cog in the puzzle that is a good safari. Knowing a few simple words and phrases like moja kamoja (keep going straight), pole pole (slowly), kushoto (left), kulia (right), bile (forward), and si mama (stop) can help the van leader and the driver to work together to put the van in perfect position for all three folks in the van. This image was created with the Canon 24-105mm f/4L IS EF USM AF lens(hand held at 32mm) and the Canon EOS 5D Mark III Digital camera body ISO 400. Evaluative metering +1 stop: 1/125 sec. at f/14 in Av mode. Two sensors to the left and one row down from the central sensor/AI Servo Rear Focus AF on the elephants right cheek active at the moment of exposure. Click here if you missed the Rear Focus Tutorial. Be sure to click on the image to enjoy a larger version. The tusks on this big African Elephant had to be at least 7 feet long. I was in the van with Patrick and Robin Sparkman. We spotted the elephant while he was the proverbial mile away. He was coming right at us but was in no hurry. We did have one important lesson reinforced: if you photograph distant subjects with the 600 and a 2X TC in haze or dusty conditions all of the resulting images will be insta-deletes due to the effects of atmospheric interference. In most cases, the images will appear dramatically out of focus. After 30 minutes, he was right next to the van. It has been a long time since I choked so bad. While I am happy with this horizontal image–don’t ask me about the f/14, when he came even closer I went to creating verticals with the 24-105. All of my horizons were 15 degrees off level and my framing was terrible with lots of cut off ears and legs and rear ends. If I had to do it again I would have gone to the fish eye. But boy, seeing those huge tusks at point blank range is something that I will never forget. This image of a Maasai Giraffe was created with BLUBB-supported Canon EOS-1D X and the Canon EF 200-400mm f/4L IS USM lens with Internal 1.4x Extender (with the internal extender in place at 383mm). ISO 400. Evaluative metering +1 1/3 stops: 1/320 sec. at f/5.6. Two sensors above and one to the left of the central sensor/AI Servo-Surround/Rear Focus AF on the front center of the giraffe’s neck active at the moment of exposure. Click here if you missed the Rear Focus Tutorial. Click on the image to see a larger version. Again, I love the versatility of the 200-400 and the way in encourages me to work wider than I am used to. Having been to Africa 7 times in all I must say that the recently concluded summer safari was my favorite ever. As you are seeing here and will be seeing more of in the coming blog posts, the entire two weeks consisted of one miracle after another. If you are seriously interested in joining us, do shoot me an e-mail. Todd, Denise Ippolito, and I will be co-leading. It will run in roughly the same time frame, beginning and ending in August. Exact dates TBD. Back in the day I visited Nome several times in June to photograph the nesting birds and more. Photographing on the tundra is always difficult. Nests are usually few and far between and tend to be found in small areas with a specific species-preferred micro-habitat. In his elegant Nome Site Guide Matthew Studebaker shares what he has learned over many seasons of photographing around this arctic outpost. The few roads are long and having Matthew to guide you on your journey in search for nesting jaegers and Red-throated Loons, the rare Bluethroat, Northern Wheatear, Gyrfalcon and Rough-legged Hawk, and a variety of nesting passerines, Bristle-thighed Curlew, Bar-tailed Godwit, American Golden-Plover, and a large variety of nesting shorebirds as well as the occasional Musk Ox is a huge advantage for visiting bird photographers. His tips on where to stay and where to eat will also prove to be invaluable. I can only wish that I had had his guide when I visited. The Nome Site eGuide, by Matthew Studebaker: $48. Sent as a 55-page PDF to your e-mail address. You can order your Nome Site Guide in the BAA Online Store by clicking here or by calling us at 863-692-0906. As part of the Swan Island Dahlia Farm Instructional Photo-Tour, September 11-15, 2013 (1 slot left; see here for details), denise and I will be presenting a 1/2-Day Mini-Flower Photography Seminar. Folks wishing to register for the mini seminar only may do so for only $49. Jan 29 (WED): Venice Rookery In-the-Field: all day: (Limit 14/penings 13): $399. Introductory slide program 7pm, Jan 28. Sign up for the whole thing and save $100. In addition enjoy a free one hour image review and/or Photoshop session with artie & denise. You will enjoy 9 full days of comprehensive nature photography education and get to pick the brains of two top professionals who just happen to be two of the best photographic instructors on the planet. Technically, artistically, and creatively. Those registering for the whole event may opt to purchase one hour individual Photoshop/image review sessions for $200/hour (normally $250) during free time with either artie or denise strictly on a time available basis. We will of course do our best to honor your requests. Arrangements for the BIRDS AS ART 2nd International Bird Photography Contest are going smoothly. The entry fee will be $25 for every ten images and you can enter as often as you like. B&H will be again be the major sponsor. You can earn free contest entries by making B&H purchases as long as you use one of our affiliate links. You will receive a single free contest entry with a purchase of $1,000 or more. Purchases of $3,000 or more will be good for two contest entries, of $5,000 or more for three entries, and of $10,000 of more for five competition entries. You can begin making your purchases now so long as you save your e-mail receipts. Additional details as to how to redeem your receipts will follow. You can use one of the many product-specific links in the Bulletins or on the blog or you can start your search by clicking here. You can also start gathering your best images now. Five judges spots are filled with prestigious photography folks. Mary Ann McDonald, Michael Frye, National Geographic videographer Sandesh Kadur, and last year’s contest winner, Lou Coutzer, have graciously agreed to join me on the judges panel. The image upload period will begin on September 1, 2013 and end on December 31, 2013. All images must of course feature a bird or birds in the frame. Once again our digital guidelines will be the least restrictive of those for any major contest. We will, though, continue to require that RAW files be submitted for winning and honored images. The complete list of sponsors and the prize pool will be announced in late August when the formal contest announcement is made. There will be prizes awarded for 1st place, runner-up, and honorable mention in each category. The photographer whose image garners the most votes will be named the Bird Photographer of the Year and be awarded the Grand Prize. A change from last year is that the grand prize image will not also be awarded first place in a category. Here are some prize teasers: the Grand Prize pool, which will go to the Bird Photographer of the Year, will be a check from BAA for for $500 US and a $500 B&H gift card and the winning photographer will be invited to be a judge in following year’s contest. LensCoat, Delkin, and Nature Photographer magazine will again be major sponsors. 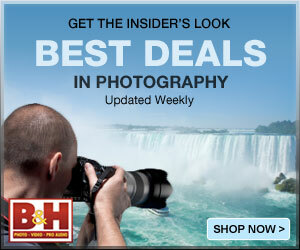 Those three and B&H will be providing across the board gift certificates to all winning, runner up, and honored images. Category winning prizes will include a Think Tank Airport International TM V2.0 rolling bag, a basic Xtrahand Magnum vest, A Wimberley WH-200, a Mongoose M3.6, and a Lens Align Mark II package. Sept 30, 2013 9:00 am – 5:00 pm, Canton, MA. Spend an amazing day with Arthur Morris and Denise Ippolito in a full day nature photography seminar. You know me. 🙂 Learn more about Denise on her website; be sure to visit her beautiful image galleries. If you live withing 3 hours of Boston and love photographing nature this experience is not to be missed. Artie will be doing a Tuesday night program for Mass Audubon. Both events will be in conjunction with the opening of a 35-image gallery exhibit of his work at the Museum of American Bird Art on Sunday, September 29, 2013. All details to follow. 3:45 to 5pm: Image Critiquing. Registrants will be asked to submit no more than three 1400 (wide) or 1050 (tall) sharpened JPEGs via e-mail 2-4 weeks before the seminar. At least one image from each participant will be selected for review. Scroll down here for details on the Saturday seminar that Denise Ippolito and yours truly are doing in Chattanooga on October 12, 2013 and the follow-up Old Car City In-the-Field Workshop. Blog folks who sign up for both are invited to join us at a secret Urbex location in Atlanta on Friday morning October 11. Feel free to e-mail me for details after you are registered for both. The Artie Morris presentation, “Choosing and Using Lenses for Nature Photography… BIRDS AS ART Style” (9:00 – 10:45am) is free and open to the public courtesy of Canon U.S.A. Snow Goose composite, Bosque del Apache NWR, San Antonio, NM. Click on the image for a larger version. Bosque del Apache 2013 IPT: “The Complete Bosque Experience.” NOV 26-DEC 2, 2013. 7-FULL DAYS: $3399. Co-leader: Denise Ippolito. Introductory Slide program: 6:30 pm on 11/25. Limit: 12/Openings 11. Tens of thousand of Snow Geese, 10,000 Sandhill Cranes, ducks including point-blank American Wigeon and Wood Duck, amazing sunrises, sunsets, and blast-offs. Live, eat, and breathe photography with one of (if not the) world’s premier photographic educators at one of his very favorite locations on the planet. Top-notch Photoshop instruction. This will make 19 consecutive Novembers at Bosque for me. Nobody knows the place better than I do. Join us to learn to think like a pro, to recognize situations and to anticipate them based on the weather, especially the sky conditions, the light, and the wind direction. Every time we make a move we will let you know why. When you head home applying what you learned will prove to be invaluable. Includes all lunches and the Thanksgiving Buffet at the Crowne Plaza in Albuquerque. I hope that you can join me for what will be an unparalleled learning experience. A $500 non-refundable deposit is required to hold your slot for this IPT. Your balance is due 4 months before the date of the IPT and is also non-refundable. If the trip fills, we will be glad to apply a credit applicable to a future IPT for the full amount less a $100 processing fee. If we do not receive your check for the balance on or before the due date we will try to fill your spot from the waiting list. If your spot is filled, you will lose your deposit. If not, you can secure your spot by paying your balance. This trip needs 6 registrants to run so please do not purchase your plane tickets until you hear from us; right now we need 3 more folks. The primary subjects will be tulips and orchids at Keukenhof and the spectacularly amazing tulip, hyacinth, and daffodil bulb fields around Lisse. In addition we will spend one full day in Amsterdam. There will be optional visits the Van Gogh Museum in the morning and the Anne Frank House in the afternoon; there will be plenty of time for street photography as well. And some great food. On another day we will have a wonderful early dinner at Kinderdijk and then head out with our gear to photograph the windmills and possibly some birds for those who bring their longs lenses. We will spend an afternoon in the lovely Dutch town of Edam where we will do some street photography and enjoy a superb dinner. All lodging, ground transportation, entry fees, and meals (from dinner on Day 1 through dinner on Day 8) are included. Click here for complete details and some previously unpublished images. And/or click here and see item one for lots more tulip photos and complete trip details. Images courtesy of and copyright 2012: Bill Mueller. Card design by Denise Ippolito. Old Car City Creative Photography In-the-Field HDR Workshop: Sunday, October 13, 2013/ 9am till 1pm. White, Georgia: $250 plus a $15 entrance fee donation (cash only on the day of the event) that will go to charity. Limit: 16/Opening: 8. On October 13, 2013, Arthur Morris/BIRDS AS ART and Denise Ippolito/A Creative Adventure will be conducting an In-the-Field HDR Workshop at Old Car City in White, Georgia. Old Car City is about an hour north of Atlanta, GA and an hour south of Chattanooga, TN where they will, as noted above, be doing a full day seminar for the Photographic Society of Chattanooga on Saturday, October 12th. Click here for complete details. I’ve started following your blog recently and absolutely love it. Thank you for the highly insightful and educative tips you give. I loved the image of the elephant as well as the high key image of the leopard. Stunners! What about the Cheetah’s and the rest of the safari? When do we get to see them? Can’t wait!!! Artie, as I am a great lover of animalscapes and birdscapes, I am really enjoying the wider images you are taking with the 200-400, but that lion photo is totally amazing! Many thanks. I love that he looks so peaceful and gentle–for a stone-cold killer!